On 3 September, Andiamo Education Institutions (AEI) open their doors for a new 2012/13 academic calendar. Preparations are underway to make sure that everything is in order before students arrive. 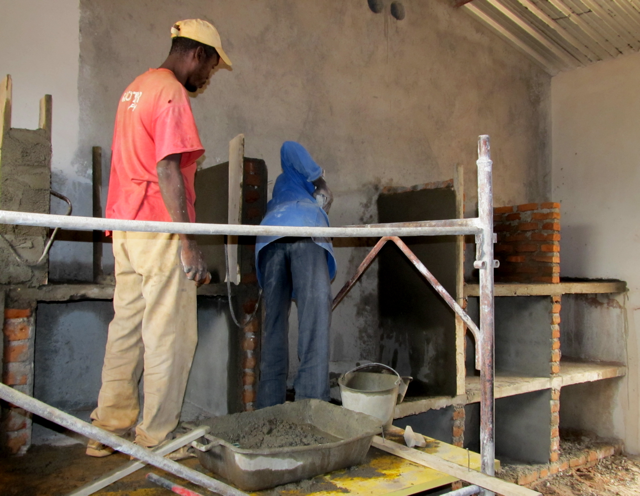 Builders and plumbers are busy to make sure that the new girls hostel that has a capacity to host 80 girls is ready before the opening day. Since last week, painters have been busy repainting hostels and classrooms so that they are all in good shape. This year will be a big challenge to AEI office too. A challenge, because for the first time we shall have all the four classes in the secondary school. This will not only be a tall order to the teachers but also administratively. As we continue to work with government through the Technical Education, Vocational and Entrepreneurship Training Authority (TEVETA), we also expect about 40 new students who will pursue different courses through out technical schools. AEI campus will have a minimum of 300 young people this year! 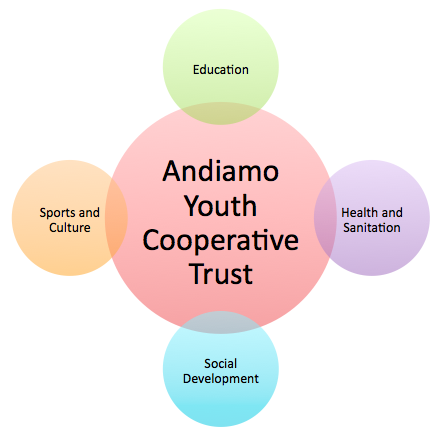 During these preparations for the new academic calendar, I have come to appreciate the role the four pillars of Andiamo Youth Cooperative Trust (AYCT) namely Education; Sports and Culture; Health; and Social Development play and move together. How could a three-year secondary school build its own girls hostel, for example? How could we be able to save enough money to renovate all the hostels and classes? Through the collaboration of AYCT and our development partners (volunteers) in Italy, we now have a new girls hostel. While some helped us financially, one volunteer, Franco Fiorina spent a good three months building the hostel with the local builders. AEI officials were not involved directly in the actual building, but builders of AYCT who fall under the pillar Social Development. All the painters that are busy renovating the hostels are not directly working under the Education Pillar but the Social Development pillar. Last year AEI were not starved of entertainment either. Alleluya Band, which is under the pillar Sports and Culture, was available any time we had a function within the campus. It is our sincere hope that they will also be available this year when we shall have our first ever graduation ceremony! Alleluya Band members did not only offer us entertainment. They did more than this. They are the ones that built the school! 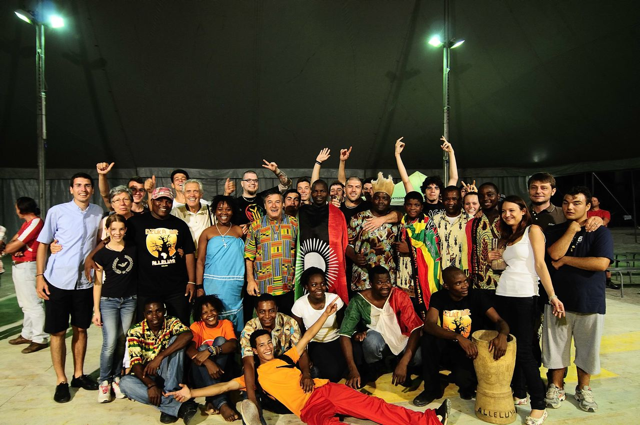 Through their overseas trips, the band has raised funds to achieve the objectives of the mother AYCT. While many people have not understood the objectives of the yearly tours of the band, the band has helped to ‘build’ AYCT to be where it is now. By the way, the founding trustee of AYCT, Fr. Mario Pacifici has just disclosed that through the 2012 of Alleluya band, Andiamo Secondary School will have a fully furnished laboratory! Some may ask, what has the Health pillar anything to do with AEI? At AEI, we are looking forward to the day when those responsible will declare that Comfort Clinics become a community hospital. In times of sickness that need admission, students have to be brought to the government hospital. Though the government hospital is a not very far away from AEI, there are many problems that are faced there. If it is not lack of drugs like many government hospitals, then it could be congestion. While there are people who have shown commitment to helping the students in times difficult like this like Gertrude Naluso, Judith Kalambo and more recently Yasinta Munlo, the elevation of Comfort Clinics to a community hospital will help us a lot because of the introduction of the new adult ward. We are also aware that our preparations would be in vain, if students are unable to report for classes because of lack of school fees. We are always grateful to volunteers in Italy who in times of financial crisis, like this, sacrifice some money to help some deserving students get education through our institutions. 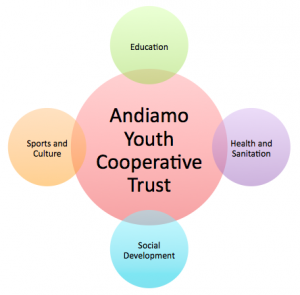 This entry was posted in Culture and Sport, Education, Health Care, News from Malawi, Social Development and tagged AEI, Andiamo Education Institutions, Andiamo Youth Cooperative Trust, Di Natale Gianluca, Fr.Mario Pacifici, TEVETA. Bookmark the permalink.